It's body cream time! 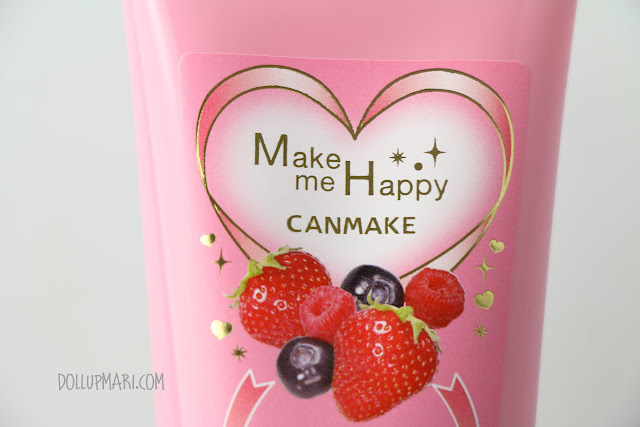 This is CanMake's body cream in sugar berry. Like the hand cream, this is also notably very refreshingly fragrant. 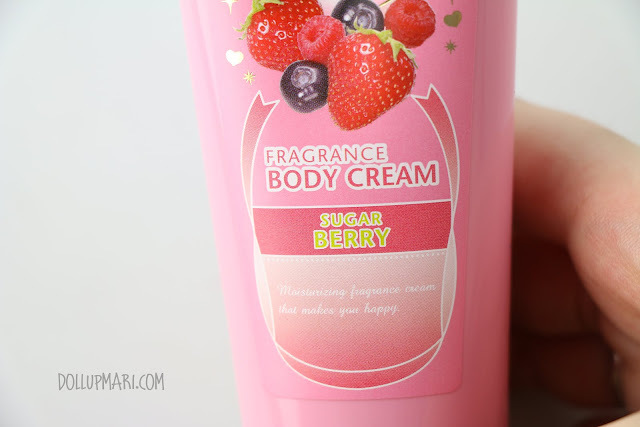 At first, I was laughing at the name of the scent because I was like how does one smell sugar, but the moment I sniffed it, the name was right all along. 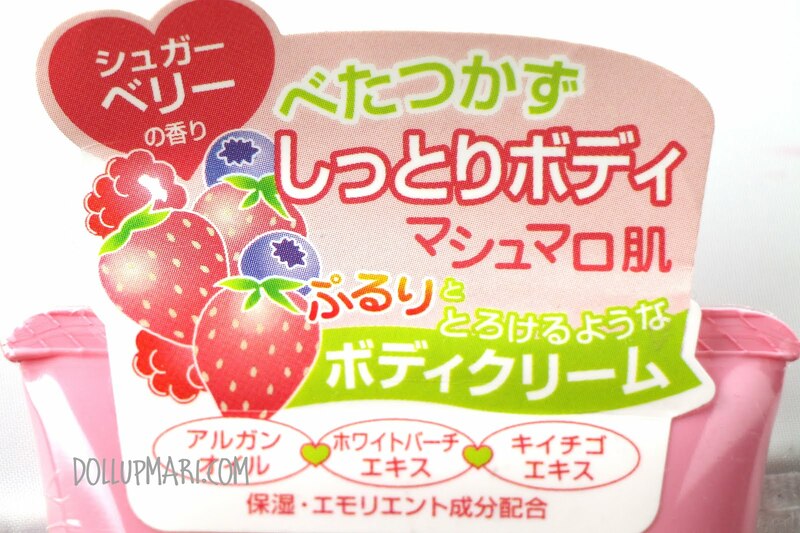 It smells like berries and all, but does not have this sour or tangy hint to it like the usual berries smell like. It smells like a really sweetened version of berries. 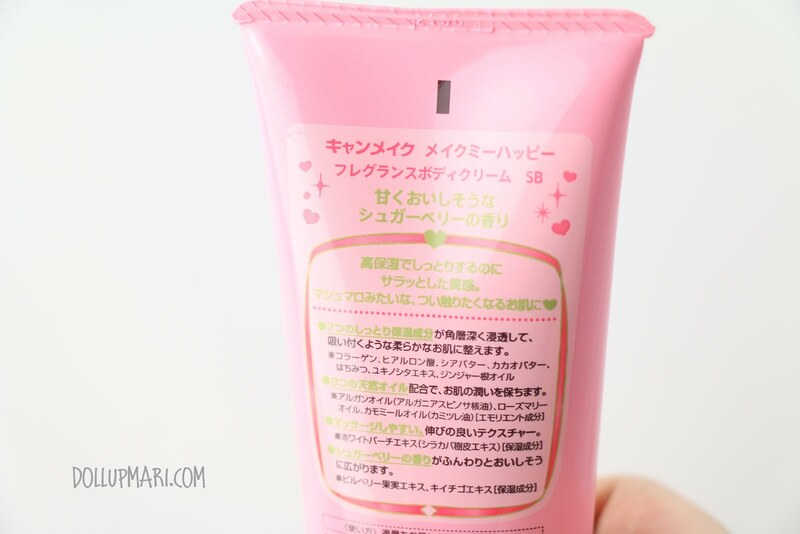 Like the hand cream, it's also really quick absorbing. 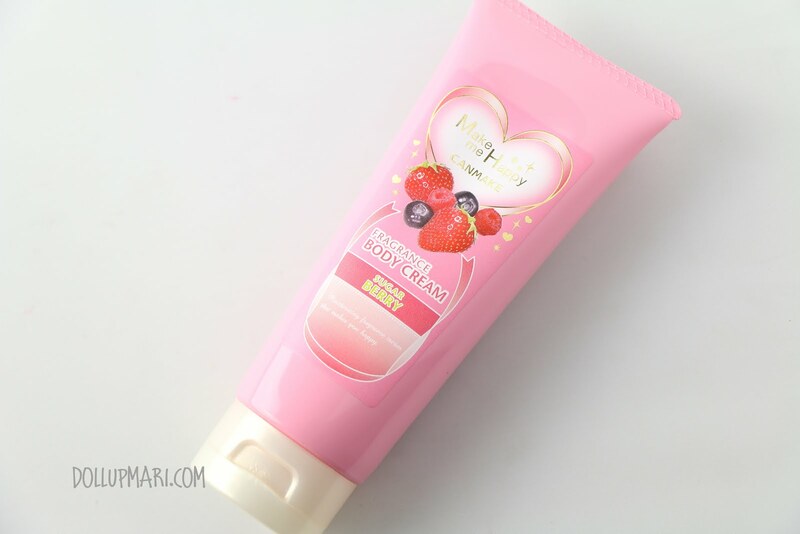 It boasts having argan oil, white peach scent and strawberry scent. Perhaps it's the peach that makes it smell so sweet. 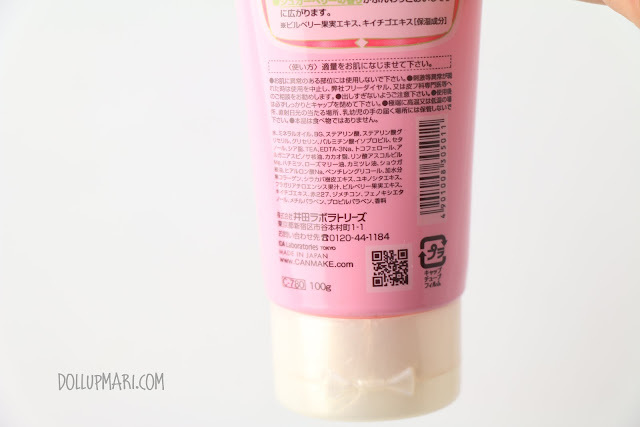 These are the ingredients of this hand cream. In terms of application, it claims that it's emollient, but I do think that this can be more emollient. It's quick absorbing and all, but sometimes it absorbs too quickly that I'm still busy spreading it onto my body and it's already absorbed and there's nothing to spread. I'd end up having to get a new dollop from the tube. The scent smells really nice, but also does not last for more than two hours. For someone who is used to Bath and Body Works and Victoria's Secret body creams (which smell like themselves even 10 hours after application), this is unacceptable. As for value for money, I can't really give an estimate because I got this for free from CanMake Hong Kong and do not know of the price. It's great for the summer weather because it does not feel sticky or oil up after application, but if you're looking for something emollient, this is probably not the product for you.